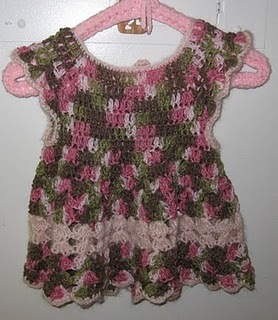 NEED A SWEET LITTLE GIRL DRESS FOR SPRING? Check out the blog linked here. Cute stuff. And there are instructions for making this simple little pinafore. Isn’t it sweet? Very pretty pinafore, I kind of like the orange and white one better.